Whether you are a professional carpenter, a DIY adept, or a woodworker, a miter saw is one of the most indispensable stationary tools that you need to have in your workshop. Depending on the model, this polyvalent and powerful tool can cut through stud, cut moldings at multiple angles, and create beveled edges. But what are the different types of miter saws? 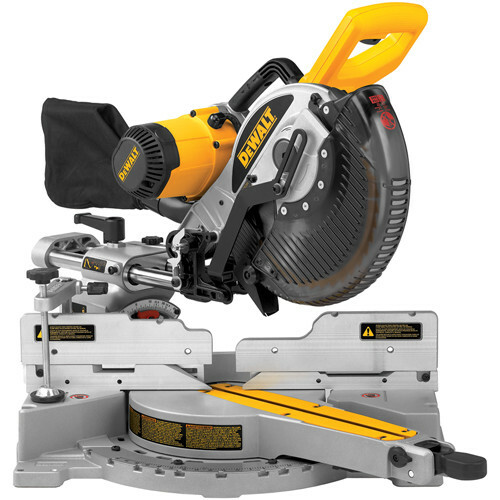 What is the best type of miter saw for your specific needs? Federated Tool is proud to provide you with this miter saw’s buying, so that youcan purchase a miter saw and complete your workshop with the best information. First, let’s clearly define what exactly is a miter saw. A miter saw is mostly a circular saw with a round blade lowered vertically onto a cutting table to cut pieces of wood along straight line or at various angles. Three types of miter saws are available in the industry and they each have their specific features. The “classic” miter sawcan cut perpendicular to the face of the wood and at lateral angles up to 45°. It is perfect forstraight pieces such as baseboards, door and window trim. 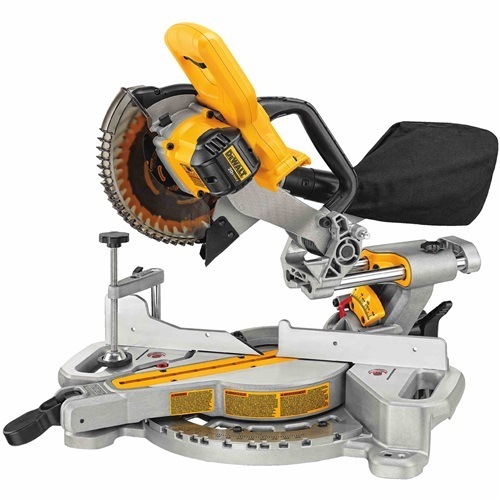 For this type of miter saw,because the blade can be tilted to one side, it can cut both a miter(perpendicular and lateral angle, up to 57° on certain high-end saws) and a bevel (tilted up to 45°) at the same time: a compound mitercut. This model makes it easier to cutdecorative cornice moldings(Ogee moldings) and lowers the risk of errors. The sliding compound mite saw combines the miterangle cuts and tilting ability of the compound mitersaw for bevel cuts with a sliding mount on the pivot arm for cutting flexibility. Because the blade slidesback and forth (12" to 14") it can cut material wider than the saw blade.This model is best suited for larger width cuts, such as shelves. The sliding compound miter saw is very versatile and more complete than the preceding two models. However, it is more expensive than the two other models. How to choose the right miter saw for your needs? A sliding compound mitersaw can do all the cuts the other two saws can do, and more. It constitutes the better choice for realizing diverse projects. However, for tasks that involvesstraight pieces of wood, likemoldings, the mitersaw or combined mitersaw would both be excellent choices. More economical than the sliding saw, they are less cumbersome.Here is a chart where you can see each of the miter saw’s types with their features, benefits and uses. As you have seen above, miter saws are extremely versatile and can do an amazing range of cuts. Here are the most popular cuts you can make with each type of mitre saws. You can use for moldingson door or window frames or directly on the wall (perfectfor decking and framing boards). Blade Size:Thebladeisoneofthemostimportantfeaturestoconsiderwhenselecting a mitersaw. The most common mitersaw sizes are 8", 10", and 12". Keep in mind that larger diameter blades canmake longer cuts. Self-RetractingBladeGuards:Thesewillkeep the guard clear of the stock, so that you canhave a better view of the cutting line. When the saw is raised, the guard is lowered to completely cover the blade. ElectricBrakes:Theyreverse the flow of electricity in the saw motor when the trigger is released. Reversing the current stops the blade's momentum quickly. Electric brakes can stop the blade in as little as two seconds, compared to up to twelve seconds for a saw without this feature. Shaft Locks:Theshaftlocksstopthe shaft and blade, making it much easier to change the blade. Dust Bags:Dustbagsmount directly to the saw and collect sawdustto make you save time on cleansing. Table Extensions:Thesepartsaremount on the sides of the saw and balance longer stock to give an accurate cut. Sliding Fences:Theygive extrasupport to tall stock during regular mitre cuts and slide out of the way for bevel cuts. As mentioned earlier, the blades are the most important components of the miter saw. However, there are many available bladesfor different applications andcuts. Here is an overview of the most common miter saw blades you can get for your miter saw. Steel Blades: Theyare inexpensive and work well for cutting softwood but dull quickly in hardwood. High-Speed Steel Blades: Theyare harder than steel blades and stay sharper longer. Carbide-Tipped Blades: Theyare more expensive than other blades, but they stay sharper much longer than steel or high-speed steel. If you have questions about miter saws and their components, or if you can’t fin the information that you have been looking for, you can contact us by phone or email, or come visit us to our hardware and tool shop at the address below. You can also buy you tools online and get fast shipping everywhere in Canada or free in-store pickup at our store location.